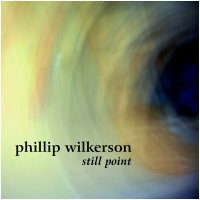 One of the more active ambient and electronic artists around is Phillip Wilkerson, a truly gifted musician who hails from Florida in the USA. His music spans numerous genres, including progressive electronic, glitch, noise, and of course, luscious textural and tonal ambient. Earth Mantra is very proud to bring you Phillip's latest release, entitled Still Point. Inspired by the poetry of T.S. Eliot, this is a magnificent pure ambient release, extremely approachable and very much in the vein of Thom Brennan or Kit Watkins, but with Phillip's indelible uniqueness and vision. We think this is one of the top all-around ambient releases of 2008 and are very excited to bring it to our listeners. Highly, highly recommended. Still & Moving - Astreaux World Weekly Top 10, 9/6/2010. Played on Ultima Thule, Australian ambient music radio, on April 11, 2010. Read Phil Derby's review on Electroambient Space.